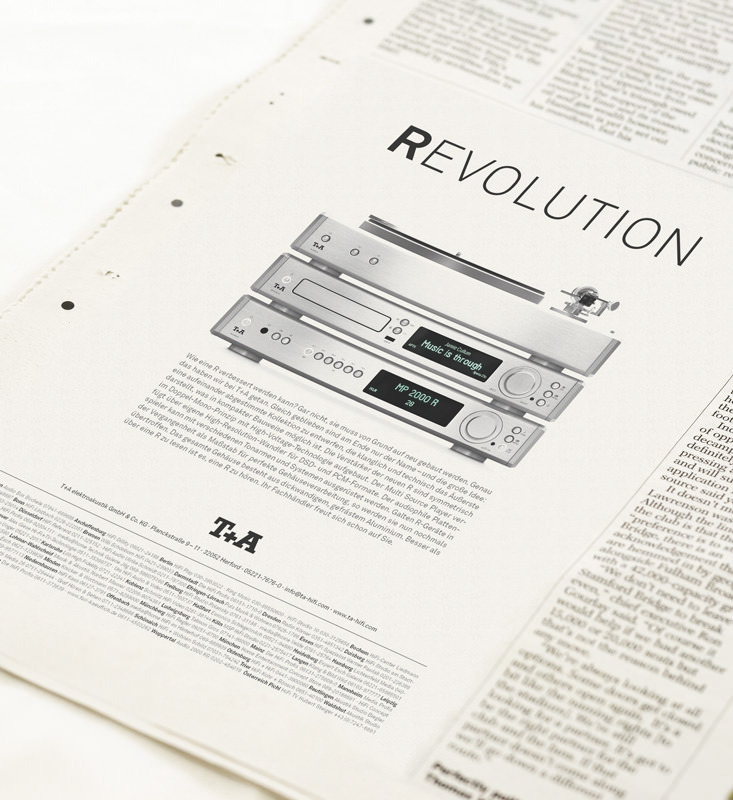 The R-series is T+A’s oldest and most important product line of one of the finest inventors in the field of audio technology in germany. First presented in the year 1992, the system’s technology, operating philosophy and appearance were immediately convincing in every respect. Until this year no one could beat the legendary R-series. So, T+A had to do it themself. 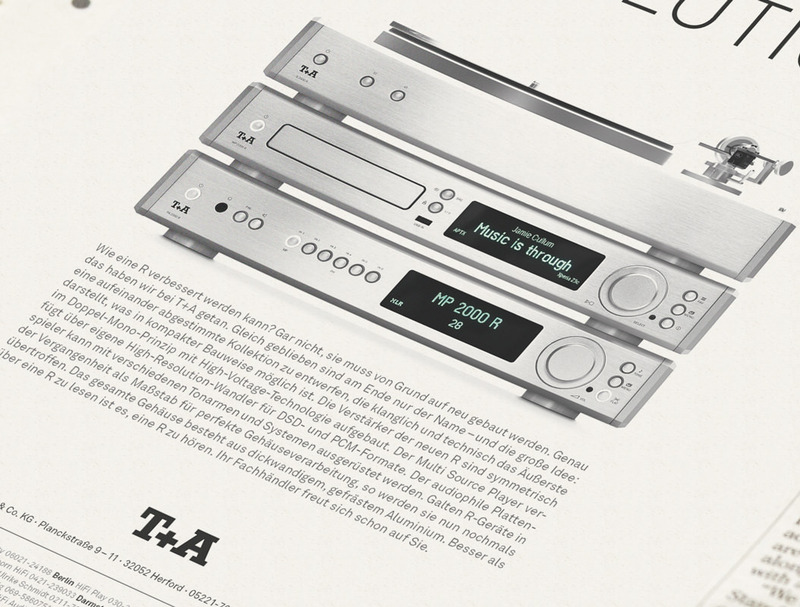 I was asked by Heine/Lenz/Zizka to do the brand concept and copy for the kick-off ad.